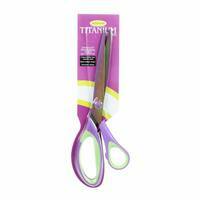 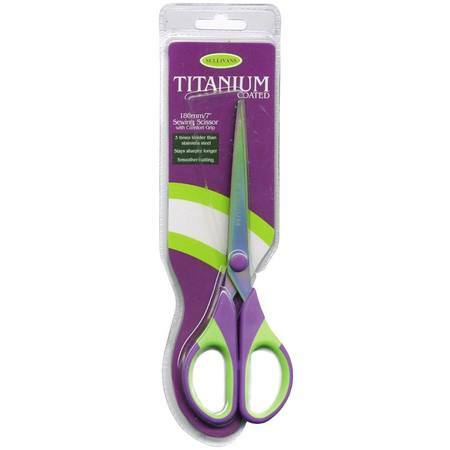 These 7", iridescent scissors are titanium coated, making them rust resistant and three times stronger than stainless steal. 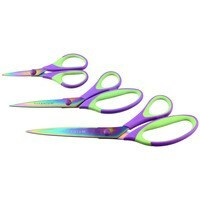 The soft grip handles provide comfort while cutting. 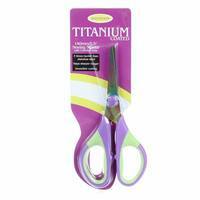 Ideal scissors for sewing, quilting, office, kitchen and crafting.